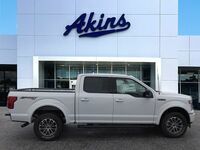 We’re incredibly excited about the 2018 Ford F-150 here at Akins Ford near Atlanta, GA. And we’d be remiss if we didn’t start with the fact that the new Ford F-150 features a diesel engine option for the first time ever thanks to an available all-new 3.0-liter Power Stroke diesel engine built specifically for the new F-150. 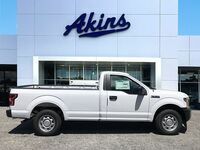 This new diesel engine will be paired with Ford’s all-new 10-speed automatic transmission. And that’s not the only engine choice you have. 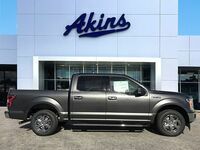 The new Ford F-150 comes standard with an all-new 3.3-liter V6 direct-injection engine that pumps out the same 282 horsepower and 253 lb-ft. of torque as the 2017 model’s 3.5-liter V6 engine. It even gets better gas mileage. 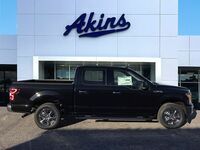 Also available is an all-new second-generation 2.7-liter EcoBoost engine that features dual port and direct-injection technology for optimized power and efficiency. This new engine will be paired with a segment-exclusive 10-speed automatic transmission, as will the 3.5-liter EcoBoost engine and the improved 5.0-liter V8 engine. The 2018 Ford F-150 includes a pair of segment-first safety features. First is the available adaptive cruise control system with stop-and-go functionality. After setting a speed, this feature monitors the traffic ahead of you so you stay far enough away from other vehicles to be safe, and will even bring you to a complete stop when necessary. Second is the pre-collision assist with pedestrian detection system, which monitors the space around you for vehicles and pedestrians. Additional available safety features include the blind spot information system, the lane-keeping system and a 360-degree camera. 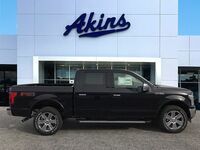 For technology and entertainment features, the 2018 F-150 features the available B&O PLAY audio system complete with high-end speakers, the available SYNC 3 with FordPass system, Apple CarPlay and Android Auto. 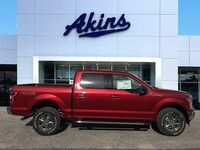 If you’d like to know more about the 2018 Ford F-150, please contact our friendly Akins Ford staff near Atlanta, GA.